Waste disposal is one of the major problems is being faced by all nations across the globe. Dumping of Municipal Solid Waste (MSW) into uncontrolled dumpsite sites is the most common form of waste disposal in many cities of India and other developing countries too, due to limited technical and financial resources. Every day, urban India generates 188,500 tonnes of MSW – 68.8 million tonnes per year – and waste generation increases by 50% every decade. The practice of dumping waste is environmentally and socially unacceptable as it does little to protect the environment and public health. The Municipal Corporation of Greater Mumbai (MCGM) is formally responsible for the management of waste in the Mumbai city. Mumbai generates approximately 9,000 TPD (tonnes per day) of municipal solid waste (MSW), or nearly 0.475 kg per person, according to the BMC, that could increase to 10,000 tonnes per day by 2025. The prevailing approach has been one of collection and disposal that is, garbage is collected from communities by the municipal authorities and disposed off at the four main dumping sites that are currently servicing the city, including Deonar dumping ground. 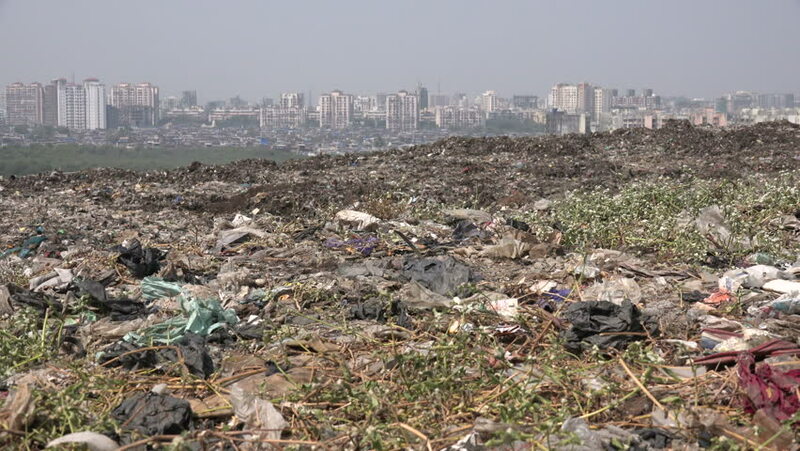 Deonar is one of the oldest dumping ground of Mumbai, set up on 127 hectares since 1927, where Municipal Body dumps thousands of tons of city’s unsegregated municipal waste. Over the years, it has reached 18ft height. The landfill causes numerous health issues to the residents of neighboring areas and has multiplied the air pollution in Mumbai. Frequent fires at the landfill releasing toxic smokes have made the surrounding areas unfit to live in. The Municipal Corporation (BMC) has planned to generate renewable energy from solid wastes. 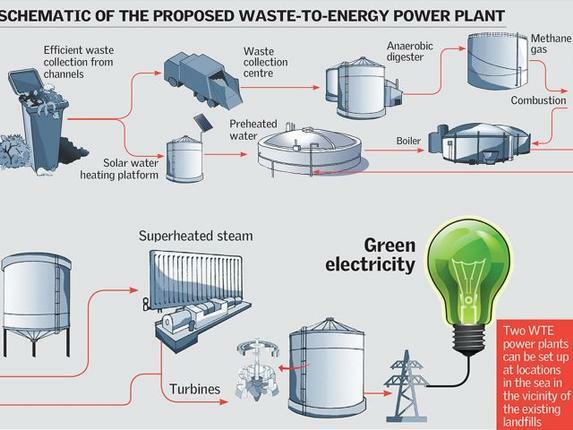 Based on a recent report submitted by Tata Consulting Engineers Ltd (TCE), the BMC is going to set-up a Waste-to-Energy (WTE) plant at Deonar ground to generate 25 MW of power at a cost of nearly Rs. 1,000. Mumbai has a unique power requirement and load curves. The average daily requirement of electricity is about 60 million units (MU). The peak power demand is almost 3,500 MW and average demand is about 3,100 MW as against Mumbai’s own generation is about 2,200 MW., reports The Hindu. The gap between Mumbai’s peak power demand (3,500MW) and generation capacity (2,200 MW) can be bridged with WTE plants. A Waste-to-Energy (WTE) plant at Deonar ground spread over 12 hectares; can be used to meet its peak power requirement of about 3,500 MW a day - through efficient segregation of waste at source and WtE plant. The cost of generating green energy from waste is around Rs. 2/kWh. Energy from WTE plants can partially fulfil the city's peak energy demand.